True friends support us in the difficult seasons of life, loving us with their time, service, and words. Welcome back to the Girls’ Club Podcasts Series! This week, my mom and I had the great pleasure of talking with Karen Swallow Prior. I first encountered Karen through Twitter. Twitter can be full of sound & fury, but also a place to connect with amazing people. For me Karen is one of those people! She's clever, wise, humorous, & doing what I hope to be doing in several years— teaching in a university and writing. I was so excited to talk with her! I know you’ll be heartened and cheered. Karen is a renaissance woman. She has Ph. D., is Professor of English at Liberty University, where she has won multiple teaching awards. She writes frequently on literature, culture, ethics, and ideas. Her writing appears at Christianity Today, The Atlantic, The Washington Post, First Things, Vox, Think Christian, The Gospel Coalition, Books and Culture and other places. She is the author of Booked: Literature in the Soul of Me (T. S. Poetry Press, 2012), Fierce Convictions: The Extraordinary Life of Hannah More—Poet, Reformer, Abolitionist (Thomas Nelson, 2014), and, most recently On Reading Well: Finding the Good Life through Great Literature (Brazos, 2018). She’s even written on friendship! You can find her articles on the topic here and here. I discovered Karen through Twitter, where she brings continual wisdom, wit, and depth. All this to say: it was a real delight to get to officially pick her brain on all things friendship. friendship through difficult seasons—how karen’s friends loved her well when she was (literally) hit by a bus. I know you all will love this episode! 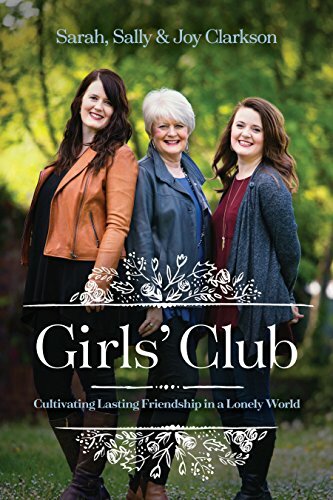 Don’t forget to purchase your copy of Girls’ Club! You also might enjoy Girls Club Experience! 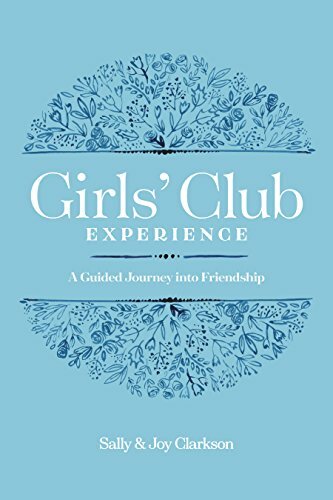 We designed Girls’ Club experience as a book you could work through with a friend or small group to help you draw closer together in friendship. It has meditations, activities, and questions to help you get to know your friends, and to help each other grow. Check it out!